Adults Braces — You Are Never Too Old! 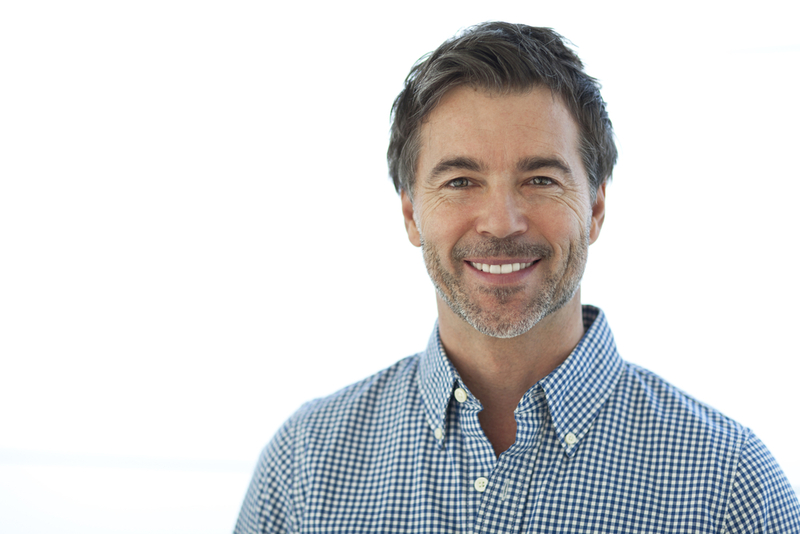 Adult braces are becoming less and less uncommon as innovation and technology propels the orthodontic industry forward with aesthetic options and shorter treater times. About 1 million patients over 18 are opting for braces. Why the rise in popularity? Adults realize the benefits that braces can have on both their personal and professional lives and are taking action. Technology today allows patients to straighten their smiles much less visibly than traditional options of the past. The American Association of Orthodontists cites that seventy-five percent of adults recently surveyed reported improvements in their career or personal relationships after orthodontic treatment. These adults attribute these improvements to newfound self-confidence with 92% of those surveyed recommending orthodontic treatment to other adults. Remove the barriers to a healthier smile by correcting issues with adult braces. Overcrowded teeth make it more challenging to brush and floss putting you at increased risk for plaque and tartar accumulation. Lingering plaque and tartar on your teeth make you a quick and easy target for gum disease and periodontal disease. Treat your dental malocclusion and overcrowded teeth issues with orthodontic treatment. Your results will not only include a straighter smile, but a healthier mouth. Periodontal disease–the advanced form of gum disease–put your teeth at great risk and can result in tooth loss and serious health conditions associated with periodontal disease like: heart disease, stroke, premature births, diabetes, and respiratory disease. Invisalign® – Gradually move teeth into their ideal position by utilizing a series of these custom-fit, clear aligners. Incognito™ (Lingual braces) -The bracket bases are contoured to hug the lingual (tongue-side) surfaces of your teeth rendering them invisible to the naked eye from the front when you smile. Clear Braces (with customized color options for your bands) – As opposed to traditional braces, which have metal brackets, clear braces use ceramic brackets that are made to match the color of your teeth. Belmar Orthodontics brings to you the latest orthodontic technology and treatment methods currently available so that you receive superior level treatment. Orthodontic treatment can now be accomplished in a fraction of the time thanks to the advances made with: digital x-ray systems, digital impressions, 3D scans of your mouth and improved archwire materials. All these tools, coupled with the expertise that Dr. Hardy provides you, will get you to your goal quickly, safely, comfortably and accurately. Orthodontic innovations make straightening your smile and improving your oral health so much easier, so much quicker, and so much less noticeable. Orthodontic treatment has been proven to improve confidence and self esteem. The positive repercussions of improving your confidence impacts all that you do and touch. Our Belmar orthodontists are expertly trained to know how your teeth, jaws and facial muscles should look and function to provide you with the best functionality you can have and to produce your best appearance. The ability to bite, chew, and speak normally bolsters your confidence in the areas of your life that are affected by these noticeable acts. According to the National Institute of Dental and Craniofacial Research, it is believed that over 10 million Americans are affected by Temporomandibular Joint Disorder (TMD/TMJ) and joint pain. Temporomandibular Disorder refers to a variety of conditions that impact TM joints, jaw muscles and your facial nerves. TMD commonly occurs when the jaw twists during opening, closing or side-motion movements. Misaligned teeth or bites that are not coming together correctly can cause irregular forces on your jaw joints resulting in TMJ/TMD pain and issues. By correcting your bite and teeth alignment with orthodontic treatment, you can treat and prevent TMJ/TMD pain from occurring.